Skincare is one of those things where I wish I had listened to mom sooner. Except that when I was younger, I knew everything. Obviously. It’s only since I turned 30 that I’ve started taking much better care of my skin. I still have some naughty habits, but Ive also got my act together. Since our skin is our largest organ and the one thing people see all the time, I want to take decent care of it as I get older. I’ve also realised, in my maturity, that it’s better to have quality over quantity. I’d rather spend more on my skincare routine and know that I’m getting what I pay for. A little goes a long way, so that’s also relative to my spend. As a lifestyle blogger, one where I include beauty, we are often spoilt with products to try and review. It’s something I never take for granted. 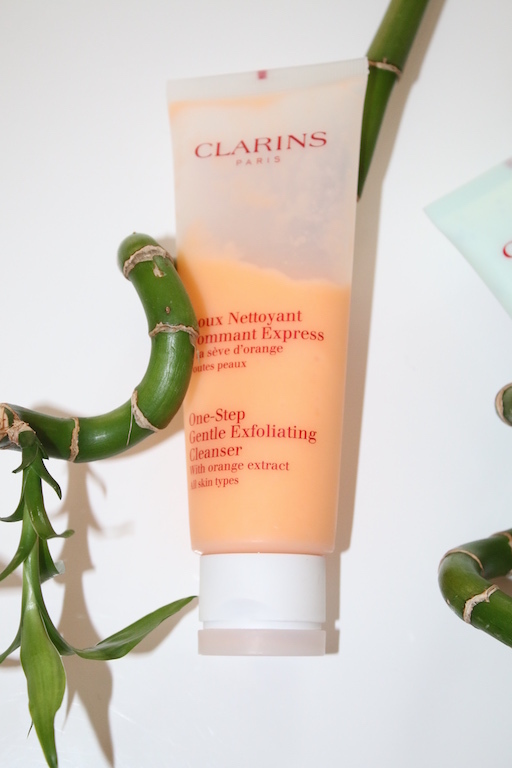 I was introduced to Clarins skincare through my blogging and an instant love affair began. It’s also the first product I’ve used where within a day or 2, I had people telling me how lovely my skin was looking. It was so flattering. I even had a complete stranger at a coffee shop, ask me quite shyly at first, what products I used on my skin. It’s number 1 in European luxury skin care and perhaps because I have partly European skin, my skin just took to Clarins like a duck to water. The theory is out on that one! 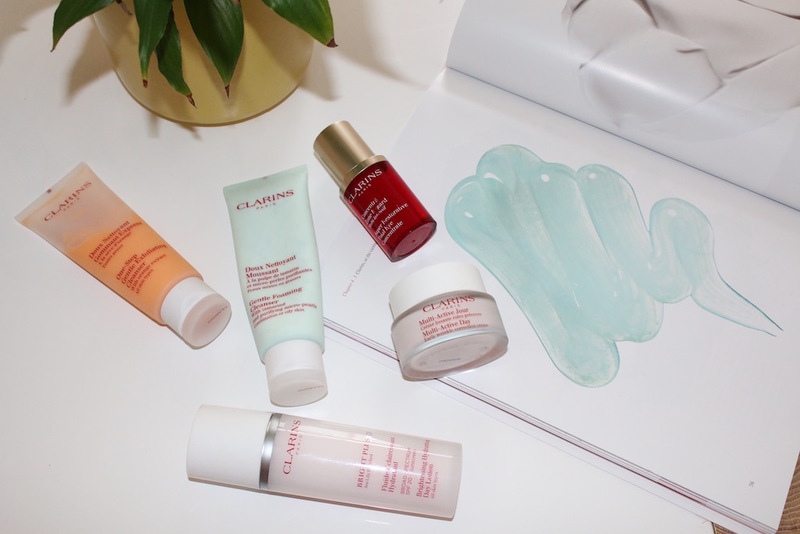 I am a story teller by nature – it’s why I love what I do, so I wanted to find out the story behind Clarins. It’s a French brand started by a masseur, called Jacques Courtin. He made his own treatment oils that he claimed firmed the skin, and sold them from his salon in Paris. He built up quite a fan base because he listened to women, to truly understand their needs. He took the name Clarins from a character he played in a school production, and saw it as a good luck charm. In fact, it seems he loved the name so much that he incorporated it into his own in 1978, becoming Jacques Courtin-Clarins. He passed away in 2007 and his 2 sons, Christian and Olivier are now involved in continuing the family business. Clarins abandoned testing on animals in 1987 – the first French company to do so. They also have a decent track record on all things fair trade and environmentally aware. Another reason I love supporting them. There is a golden rule that all Clarins researchers follow. They will always select a natural ingredient over a chemical one, if it delivers the same level of effectiveness. So, what do I use on my skin? This Gentle Foaming Cleanser for Combination/Oily skin is amazing. I can’t stress this enough: a little goes a long way! It foams up and gets to work removing make-up and dirt from the day. Now this is probably going to sound weird, but I have this bizarre habit of getting soap in my mouth. No matter what – I can be tight lipped and soap will sneak in. The first time I used this, I got soap in my mouth and it was sweet. I told you it would sound weird, but it was such a pleasant surprise. Now, I’m not suggesting you eat your cleanser, but it’s not an unpleasant experience when I wash my face. Once a week or even twice a week, depending on how much TV make-up I’ve had on, I use the One-Step Gentle Exfoliating Cleanser, with orange extracts. My skin always feels baby soft afterwards and renewed. After drying my face, I use the Clarins Toning Lotion with cammomile. I never used to be big on toners, because some used to burn me too much. After discovering the Clarins one, which has no alcohol in it, it only refreshes my face and closes my pores, especially if I’m going to apply make-up. I use the Multi-Active Day moisturiser. Again, a little goes a long way. I dot it on my cheeks, forehead, nose and chin and then massage it all over and into my chin. It’s like my skin grins when I apply it. 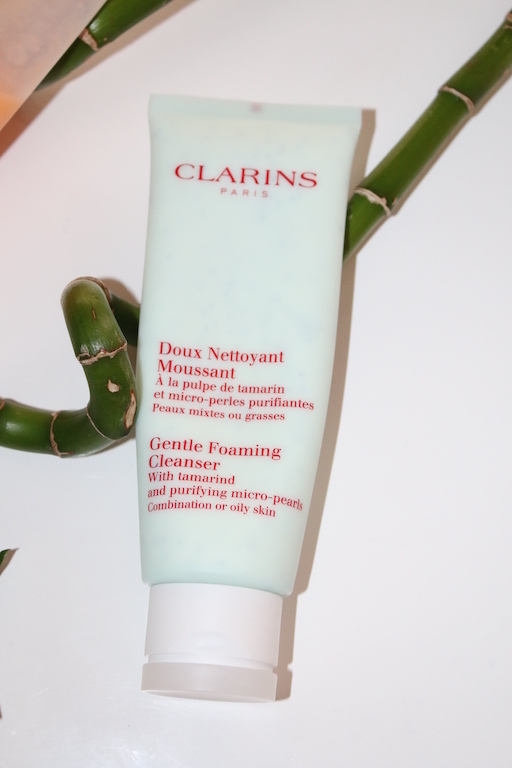 I’m a big fan of the Clarins Bright Plus range and alternate between the Multi Active Day Cream and this Brightening Hydrating Day Lotion, depending on what I feel like on the day. My skin feels hydrated and looks brighter and dewy. The Super Restorative Total Eye Concentrate is magical. Goodbye bags, goodbye dark circles and hello to a tighter, brighter eye area. I’ll share my night time skincare routine soon. Guilty confession: I never used to have a night time routine – naughty I know! The night time products, however, are some of my absolute favourites, which is probably why I have a new night time routine! To find out more about Clarins, visit their website: www.clarins.co.za. They also have an awesome FB page, which has an incredible following and are brand new to Instagram. Finally time for me to purchase new face products and I’m definitely going to look into Clarins! My face is in a state at the moment and I have no idea why ;-( Will pop in to see a consultant first though as I have no experience with any of their products. Would love to see your night time routine!